Hello fans, we are back with another such giveaway where everyone wins. Yes, you read that right. 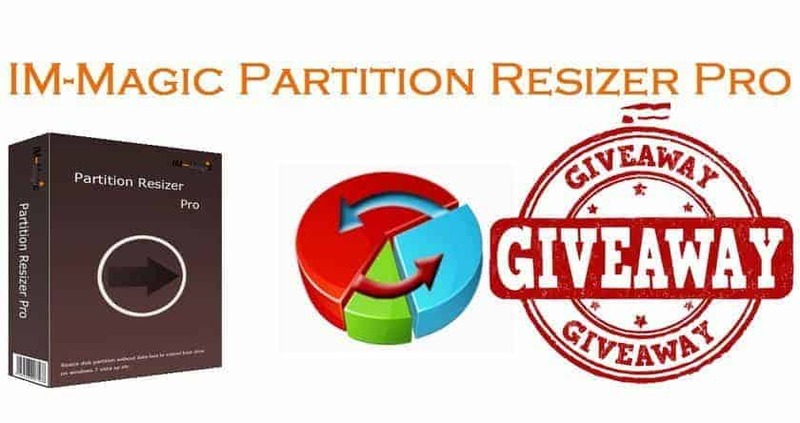 We brought the IM-Magic Partition Resizer Pro Giveaway to every single fan we have. Sometimes, we need to resize the disk partitions we have. Just because we need lesser space somewhere and more space in the C drive or sometimes, we just don’t want a small partition, which just accidentally got created. Going to disk manager and fixing all things may be tricky for some people. But wait, here’s a great solution- The IM-Magic Partition Resizer Pro. Now, the product costs USD $29.99 and with free upgrade it costs USD $49.99. But we’re giving it away for free. Before we move to the giveaway, let’s take a look at the features of IM-Magic Partition Resizer Pro. So, you get a lot of features in one single tool. Here’s how to get it for free. Note that this giveaway will be open for just 3 days i.e. from 16th October to 18th October, 2016. So, we advise you also invite your friends so that they can grab it for free. Here are the steps to participate and win. Go to the official website and download the IM- Magic Partition Resizer Pro. Hope you have enjoyed this giveaway, check this page again on 19th October for another upcoming giveaway. Enjoy your free copy of IM- Magic Partition Resizer Pro.